Computer Aided Machining (CAM) – Mold Vision Inc. 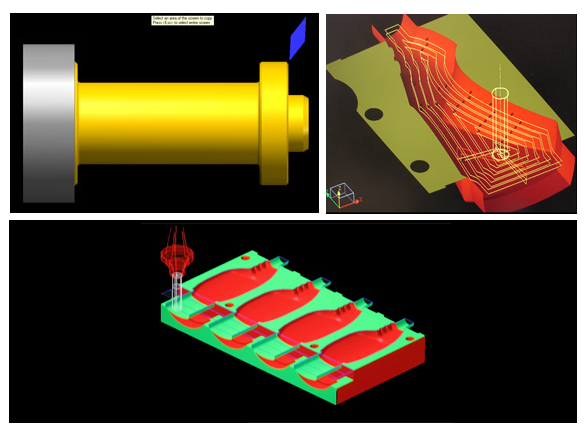 Mold Vision, Inc uses Master Cam and Cimatron IT & Cimatron Elite versions of the software for the 3D machining. We import solid models, IGES files, & Step files in to Master Cam and Cimatron software workstations to machine the 3D modes. Having this software available gives us the competitive edge in choosing the right software for the right type of job.